Scalp health is essential to the vitality and density of hair which is affected by changes that occur in the environment where it grows. Taking good care or your scalp is as necessary as taking care of your skin and teeth to prevent premature aging. Using an established consultation process and advanced technology, Capilia trichology technicians will be able to observe and analyze your scalp condition to offer the most effective solution. Hair thinning can be caused by many factors such as genetics, general health, vitamin deficiency or oily scalp. A consultation with a hair specialist is necessary to fully understand the causes of hair thinning and start an efficient prevention program. In some cases, hair thinning can be caused by accumulated residues left on the scalp by hair care and styling products. 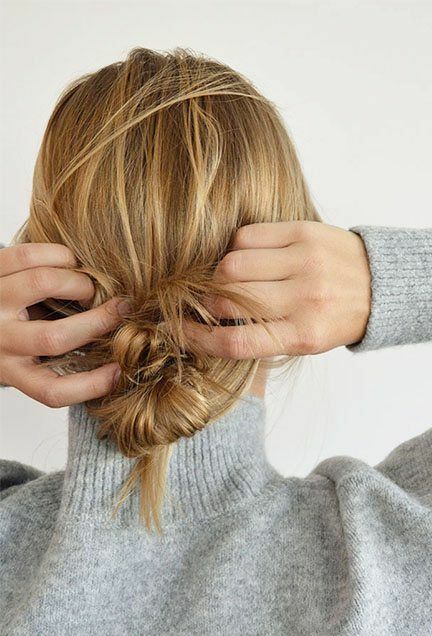 Some ingredients, such as silicones and parabens, have been used in hair products for a few decades to facilitate detangling and give an artificial shine to hair. The polymer build-up on the scalp obstructs the tunnels in which the hair grows, clogging follicles and limiting the space necessary for the hair to reach its full thickness. 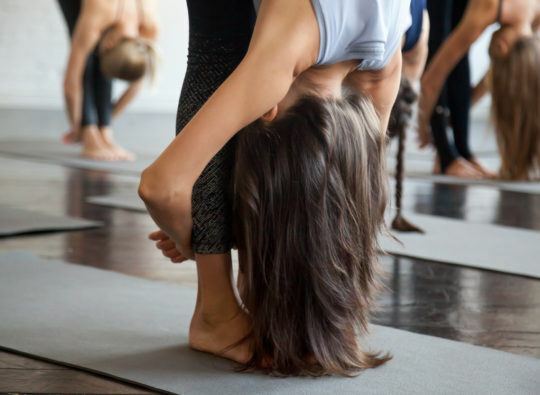 This phenomenon explains the thinning of the ponytail noticed in women and loss of hair density in men as early as their thirties, whereas many years ago, this thinning was observed at a much later age. It is recommended to get a residue-on-the-scalp treatment at least twice a year to make sure the scalp is free of deposits and to promote hair health and density. Specifically formulated with nutrients who play an important role in stronger, healthier hair. 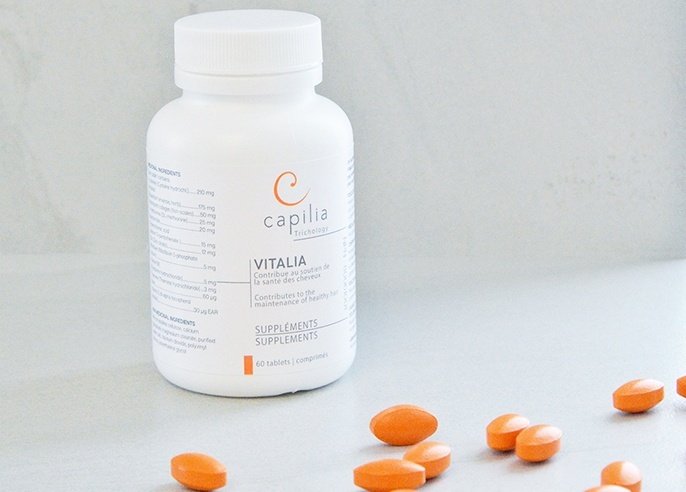 Capilia Trichology Vitalia supplements are part of a global approach to promote hair density over time. 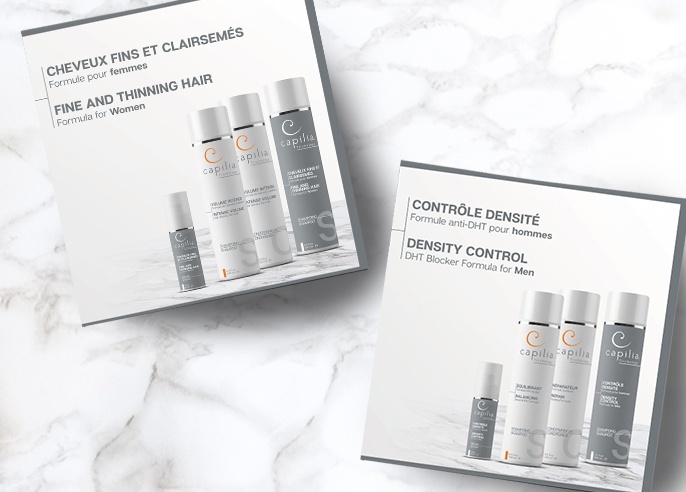 Capilia Trichology kits offer a high concentration of 100% natural active ingredients to prevent hair thinning in both men and women. The formulas specifically target scalp health and provide nutrients to the roots to promote hair density on the long term. 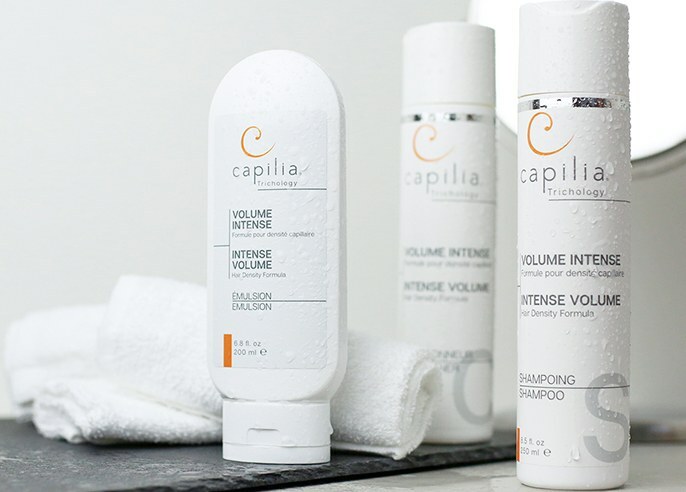 Capilia Trichology Volume Intense trio helps bring out your hair’s natural volume and shine. This hair routine provides more volume to your hair and controls static electricity while protecting scalp heath. Oily scalp and hair is usually caused by hyperactive sebaceous glands. 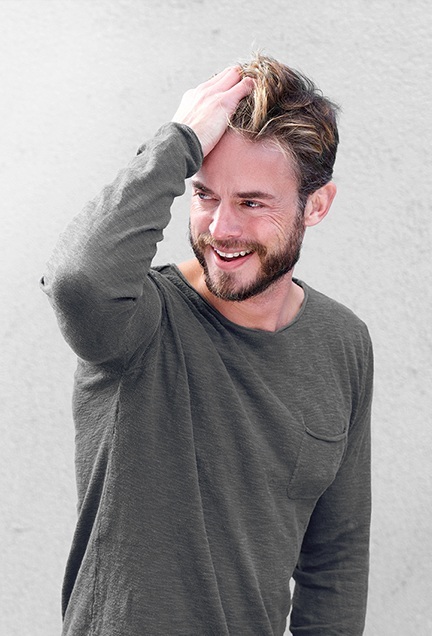 Over time and without a proper daily care routine, sebum residue on the scalp hardens and clogs the hair follicles, amplifying the process of hair thinning over a long period. 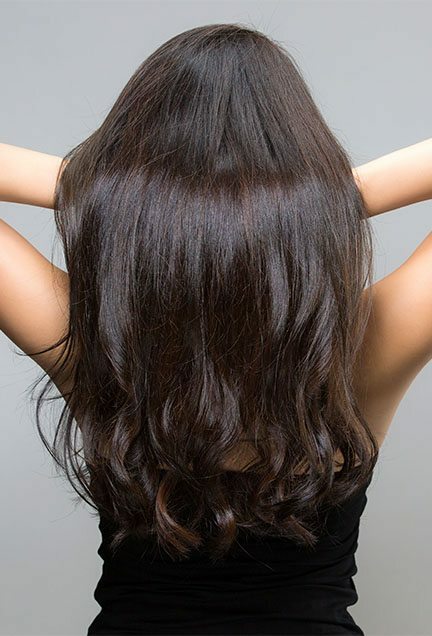 With each new hair cycle, hair gets thinner and thinner due to the lack of space to grow properly. It’s important to use hair products that are made to cleanse the sebum layer on the scalp while calming the activity of hyperactive sebaceous glands to prevent over production of more sebum. Consult with a Capilia expert to develop a personalized in-salon trichology program and at-home care routine to control this condition. This in-salon trichology care is formulated to stabilize and control sebum production. The soothing and refreshing activities of Capilia Trichology PRO + products used in this treatment will calm the overactive sebaceous glands and cleanse the stubborn sebum layer accumulated on the scalp. 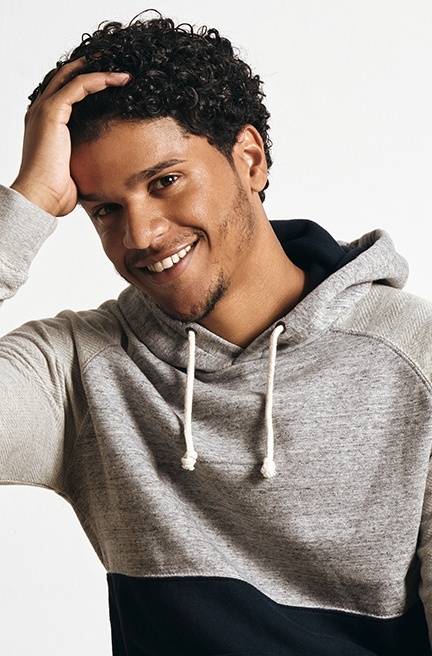 A dry scalp is caused by sebaceous glands that do not produce enough sebum, which is responsible for moisturizing and lubricating the scalp, impacting hair growth, causing dry, itchy hair and irritating the scalp. A consultation with a Capilia expert is recommended to develop an in-salon trichology program and at-home hair care routine that will answer your needs. This trichology in-salon care is designed to soothe and moisturize irritated and sensitive scalps. Also, thanks to the properties of the Capilia Trichology PRO+ active ingredients, it helps regulate sebum production. Dull hair is observed by lack of shine, bounce and increased breakage. Several habits in your hair care routine can affect the vitality of your hair, such as regular use of the hair dryer, flat iron and inappropriate hair products. In the long run, these habits can impact your scalp and hair health and cause dry scalp, itching and even hair loss. Help your hair find its true nature by consulting a Capilia expert who will elaborate a personalized in-salon trichology program and at-home routine. This treatment helps restore shine and vitality to your hair. It is designed to deeply moisturize your hair strands and restore flexibility all the way to your tips. 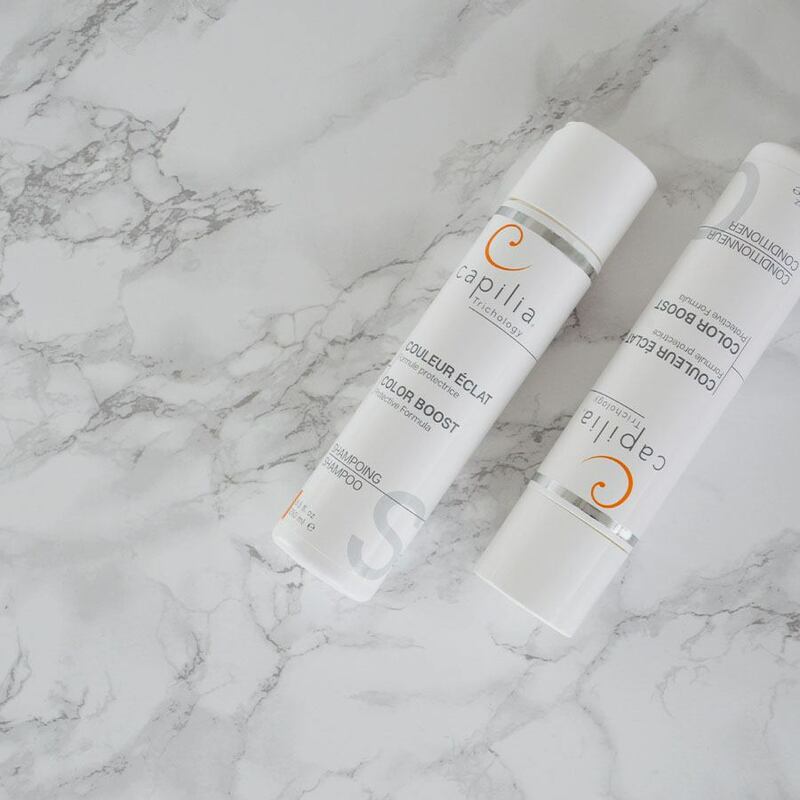 Capilia Trichology products are sulfate-free, paraben-free, silicone-free and without mineral oil, promoting optimal hair health. These polymers, which are usually found in several hair products, can affect your scalp environment and cause premature hair loss. Our Capilia Trichology Curl Definer trio gives flexibility, shine and definition to your curly hair without weighing it down. Its natural formula made from hydrolyzed wheat protein and extracts of boxwood, chamomile and rosemary rose, leaves defined and flexible curls, while controlling frizz. Our Capilia Trichology Color Boost trio protects your color and hydrates your colored or bleached hair. Its natural formula made from hydrolyzed keratin and hydrolyzed wheat protein counteracts the drying effects of hair chemical processes and provides an intense hydration to amplify the natural shine of your hair, without weighing it down. Itching is a common sign of scalp disorder. However, many types of ailments can cause itching, such as oily or dry dandruff, oily or dry scalp, eczema, psoriasis. To provide the best solution on the long term, it is important to properly identify the cause of itchiness. We recommend a consultation with a Capilia expert to properly analyze your hair condition and find the appropriate in-salon and at home hair care. This treatment is designed to soothe irritated and sensitive scalps. 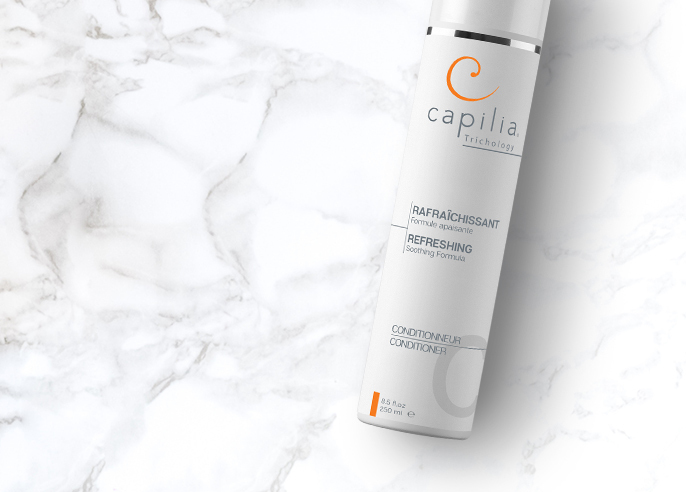 Thanks to the moisturizing and purifying properties of the Capilia Trichology PRO+ products used, this in-salon treatment brings real comfort. * This treatment can be combined with other in-salon trichology care to treat the condition at the source of itchiness. Formulated with eucalyptus oil and Chinese mint, this untangling conditioner's cooling formula is designed to soothe your irritated scalp. 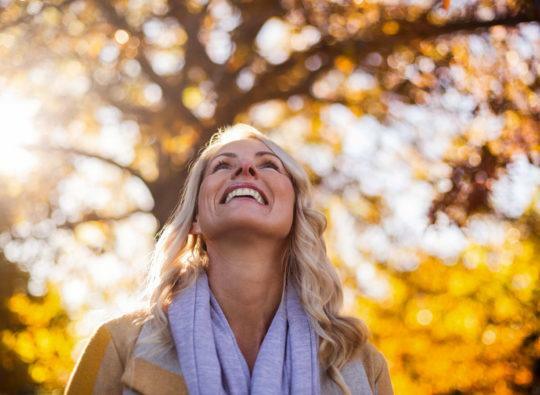 Don’t let the appearance of dry dandruff ruin your day! This treatment is specifically designed to help reduce the presence of scales and control itching. The analgesic, antimicrobial and antifungal properties of the Capilia Trichology PRO+ products used in this treatment deep cleans and soothes the irritated scalp. The epidermal cells of the scalp are regularly renewed. 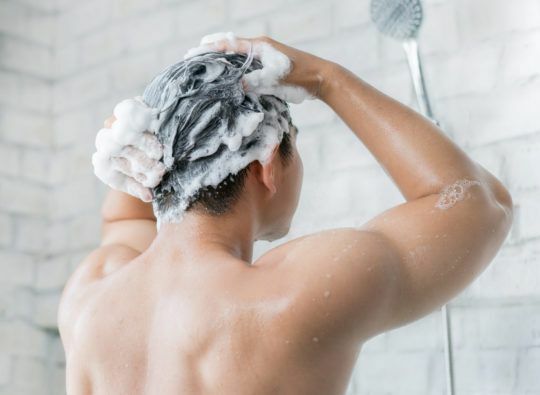 However, in the presence of certain forms of yeasts or parasites that attack the scalp, the renewal process can be accelerated to the point of causing dandruff. Contrary to dry dandruff, oily dandruff adheres to the scalp because of an accumulation of sebum, is yellowish and may be smelly. This condition can also cause itching. A consultation with a Capilia expert is recommended to identify factors causing dandruff and regulate the production of sebum. An in-salon trichology care program and adapted at-home hair care routine will be proposed to stabilize your condition. This treatment is designed to rid the scalp of oily dandruff. Our Capilia Trichology PRO+ purifying formula will calm the hyperactive sebaceous glands and clean the scalp of its persistent sebum layer. Eczema on the scalp is identified by the presence of itchy red patches. The intensity of discomfort can vary during periods of stress, fatigue or hormonal change and can also be affected by external factors. During an eczema crisis, the scalp can become sensitive and irritated. It is suggested to meet with a Capilia expert to develop a combined program of in-salon trichology care and at-home hair routine that will soothe your scalp and reduce the presence of eczema patches. Trust our Capilia Trichology PRO+ soothing care to bring you the relief you were looking for. This treatment is designed to calm itching and irritation of the scalp and help control the frequency and intensity of eczema crisis. Psoriasis is an inflammatory skin disease that can be caused by several factors including family history, stress, infections, fatigue, anxiety. This condition accelerates the renewal of skin cells to 10 times the normal frequency. This causes the skin cells, who can not be eliminated quickly enough by our organism, to accumulate and form plates on the body. Unlike eczema, psoriasis can be detected by touch because the plates are bumpy. This condition requires special attention. It is important to consult a Capilia expert to develop an in-salon trichology care program and an adapted at-home hair care routine. This treatment program is designed to gently clear the skin of psoriasis plaques and soothe itching and irritation. Our Capilia Trichology PRO+ purifying and moisturizing formula will contribute to a healthier scalp environment.